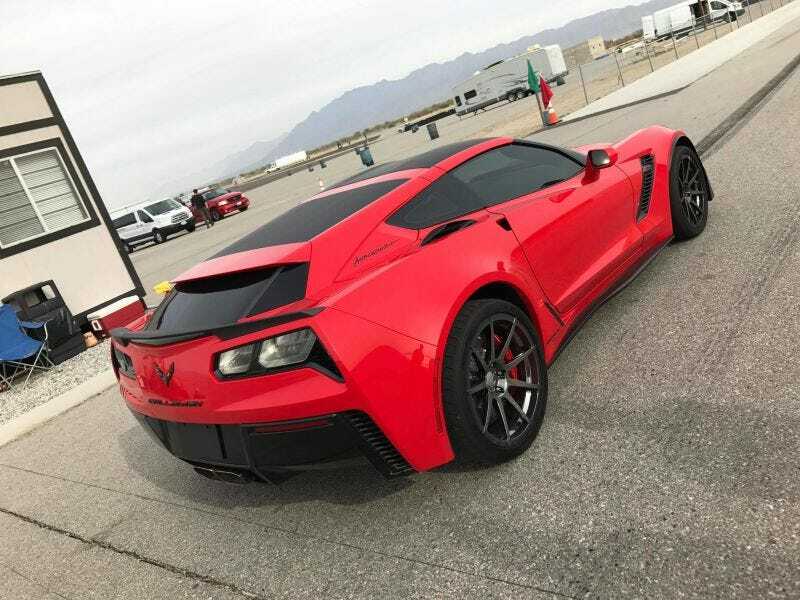 What Do You Want To Know About The Callaway Corvette AeroWagen? It’s 2017 and you, yes you, can buy a professionally-built current-generation Chevy Corvette hatchback. Or “shooting brake” or little bitty station wagon, if you like, for the price of one C7 Corvette plus $15,000. We’ve got our hands on one until lunchtime, so what do you want to know? This “AeroWagen” conversion is made by longtime Corvette tuner Callaway. The company has been putting superchargers and body kits on Chevys for a long, long time. It says this hatch-kit is a direct swap for the current Corvette’s regular rear window, using factory mounting points and hardware. I’m on my way out to pick the car up right now, and I’ll be checking through the comments periodically and peeking at any parts you guys want a closer look at until I’m forced to surrender the keys. Then stay tuned for a bigger breakdown of everything I find!